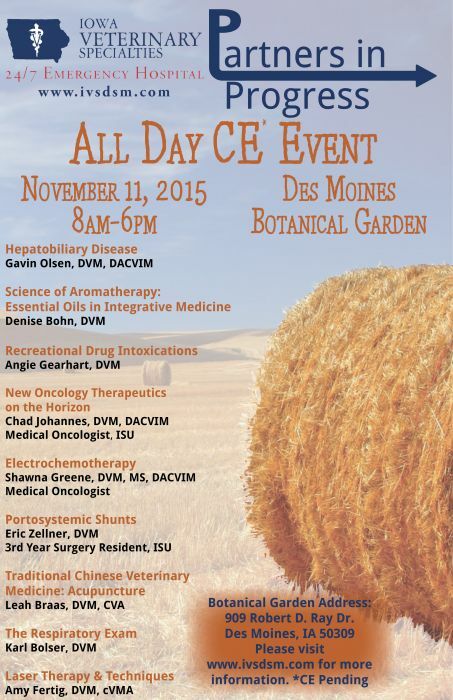 Iowa Veterinary Specialties is holding an all-day CE event on Wednesday, November, 11, 2015 from 8am-6pm at the Des Moines Botanical Gardens. 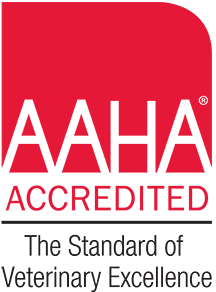 Doctors from Iowa Veteirnary Specialties as well as Iowa State University will be speaking at the event (CE Pending). This CE event is open to both Doctors and Technicians. 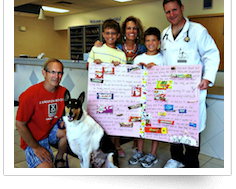 A light breakfast and lunch will be provided by Iowa Veterinary Specialties. A number of vendors will be available to answer questions about their products during the lunch hour. Please note that the city is working on the utilities that run along Grand Avenue ahead of the bridge being replaced next year. Because of that, Robert D. Ray Drive is closed just to the east of the Brenton Skating Plaza (between Grand and Des Moines Street). This will affect your access to the Botanical Garden if you are coming from the west on Grand Avenue. Instead of turning left on to Robert D. Ray Drive, you will need to go to E. 4th Street and then turn left. 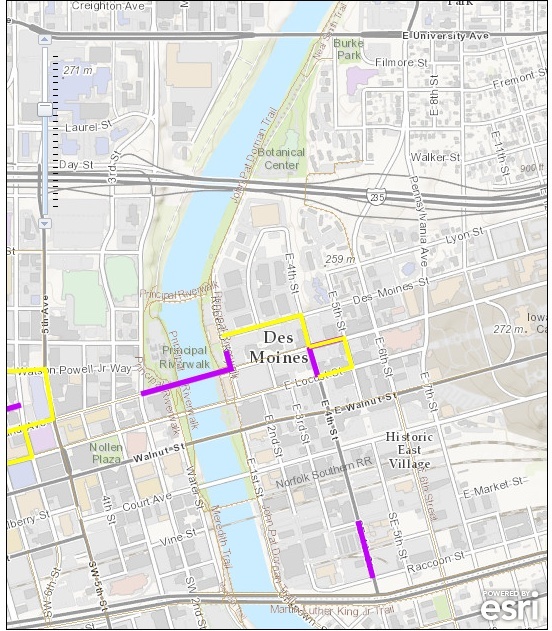 That will take you to Des Moines Street (turn left) and then to Robert D. Ray Drive (turn right). Street, turn right on Des Moines Street to the “T” intersection at Robert D. Ray Drive. Turn right on Robert D. Ray Drive and the Botanical Garden will be on the right after you go under the I-235 bridge.